We celebrated Easter this year with our community of Christian and Jewish interfaith families. Our minister started off by pointing out that Easter is not in the Bible, and that our holiday traditions make reference to ancient goddesses, and the fertility rites of spring. She then gathered the children together and talked to them about the Buddhist metaphor of a cup of tea representing the comforting memories of life after the tea bag (or body) is gone. She’s not your typical minister. Next, our rabbi gave an adult sermon about the themes of intimacy, transcendence and unity in the story of the resurrection of Jesus. Somehow, the idea of life beyond death, of renewal and regeneration, seemed completely universal to me as he spoke. As a Jew, I do not feel I need to believe in a messiah or a personal savior in order to celebrate these Easter messages. Our rabbi spent his career at Georgetown, knows his gospels, and has been called a “closet Catholic” by Catholic friends. And yet, he’s an erudite, dedicated and deeply spiritual Jew. He’s not your typical rabbi. After our Easter morning with Christians and Jews, I made a quick change out of my pastel dress and Easter bonnet and into a bold print Senegalese outfit, in order to join a community of Catholics and Muslims for our second Easter event of the day, a gathering of the local Catholic Senegalese association. We had the great fortune to be invited to this event by two Senegalese-American friends, one Catholic and one Muslim, who are cousins from an interfaith family, and who know that my husband and I crave Senegalese food and company ever since our years in Dakar. Intermarriage between Muslims and Catholics is not uncommon in Senegal. In fact, both of the Muslim Presidents of Senegal I interviewed as a journalist (Abdou Diouf and Abdoulaye Wade) had Catholic wives. There is even a Chassidic custom, instituted by the Baal Shem Tov and further developed by the Rebbes of Chabad, to conduct a “mirror-seder” in the closing hours of the last day of Passover, complete with matzah and four cups of wine. These are hours, say the Chassidic masters, when time relinquishes its last hold upon our lives; when the future, too, can be remembered, and the Era of Moshiach tasted and digested as the Exodus is on the seder night. Ever since Easter Sunday services and particularly this morning, I’ve been feeling a profound sense of disconnection or maybe it’s just disappointment. I don’t know what it is, but I don’t like it. I don’t know what I expected out of Easter or Resurrection Day, but whatever it was, I didn’t get it. Then I read Susan Katz Miller’s article, which I partially quoted from above, and I was captivated by the variety and “differentness” of her intermarriage, multicultural celebration of the resurrection. I’m sure a staunch Christian would be set back on his/her heels by even reading of, let alone participating in, such a “mash-up” of different religious practices and calling it “Easter,” but then I can see the meaning infused in this series of events, meant to speak to people from different religious backgrounds and to bring them all together in the service of the King. I’m not setting aside the idea that God is an objective God and that His understanding of Himself is the understanding of God, but human beings are highly variable. Even within this thing we call “Christianity,” there are hundreds or perhaps even thousands of different and distinct expressions, theologies, doctrines, and dogmas. That’s why we have such a tough time getting along with each other. In the seventeenth century the founder of the Chassidic movement, Rabbi Israel ben Eliezer (the Baal Shem Tov) instituted a new custom for the last day of Passover. He called it the Meal of Messiah (Seudat Mashiach,סעודת משיח ). It consisted of a special, additional meal on the afternoon of the last day of Passover, paralleling the traditional third meal of Shabbat. The Baal Shem Tov emphasized that the main component of the meal was matzah. After all, it was the last meal on the last day of Chag HaMatzot, the feast of Unleavened Bread. A few generations later, the Rebbe Rashab (1860-1920) added the custom of four cups of wine, mirroring the seder of the first night. Some Chassidic Jews still celebrate this special Messiah seder on the last day of the festival. They gather together to end the festival with matzah, four cups of wine, and a special focus on the Messiah. The last day of Pesach is the conclusion of that which began on the first night of Pesach. The first night of Pesach is our festival commemorating our redemption from Egypt by the Holy One, Blessed be He. It was the first redemption, carried out through Moshe Rabbeinu, who was the first redeemer; it was the beginning. 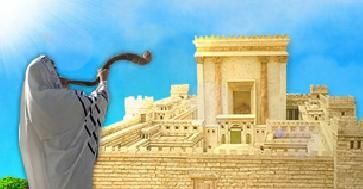 The last day of Pesach is our festival commemorating the final redemption, when the Holy One, Blessed be He, will redeem us from the last exile through our righteous Moshiach, who is the final redeemer. The first day of Pesach is Moshe Rabbeinu’s festival; the last day of Pesach is Moshiach’s festival. One is incomplete without the other: the first redemption is connected to the last. The sages say, “In Nisan they were redeemed and in Nisan they will be redeemed in the time to come.” In fact the prophet Jeremiah tells us that the second exodus will be so great that it will overshadow the first. I suppose there is a limit to how much diversity we can cram into Easter, and certainly the Baal Shem Tov’s creation of this meal probably exceeds the comfort zone of even the most liberal church, but if we consider the themes being introduced and recall that the Messiah is irrefutably, irreducibly Jewish, then we must allow the celebration of the resurrection of King Messiah to also be cast in a Jewish mold and produced as a Jewish rite and tradition. And yet, as I said above, the Messiah also transcends Judaism and extends himself to all of the people groups and nations of the world. What is Easter like for the Christians in Egypt, for the Christians in China, for the Christians in Norway, for the Christians in New Zealand? How many different peoples have how many different traditions to commemorate the risen King and the resurrected Jesus? What do they look like? What foods are eaten? What prayers are said? What songs are sung? 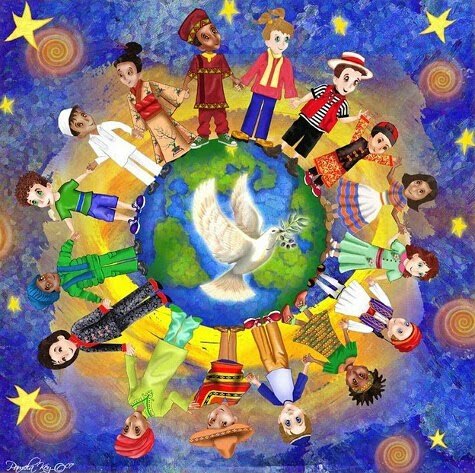 I imagine if you could gather representatives of the faith from each nation and province from the four corners of the earth, and have them join together to celebrate Resurrection Day, you’d get a set of observances something like what we see on Susan Katz Miller’s blog. Add the Meal of the Messiah on the last day of Matzot and it would be complete. The Messiah is the hope of the Jewish nation and the King of the House of David, but although he first and foremost came for the lost sheep of Israel, we also see that he came for humanity. God so loved the world that He gave His only and unique son so that none should be lost but all who choose to come to faith should be saved. Some Chassidic sources say that participation in the Meal of Messiah causes the person to carry the light of Messiah within him throughout the rest of the year and thus it infuses every action of his day. It foreshadows the Messianic Era when all mankind will be saturated with Godliness. Through this feast, the Chassid hopes that he has connected with the very soul of Messiah. Boaz Michael’s words express my desire for what I think we are all looking for…hope. Hope in the future, hope that there is a future, hope that our lives have meaning beyond the day-to-day routine and rut of existence, hope that there is a God and that He loves us, hope that we are more than we think we are, and that we can do more than the world around thinks we’re capable of. The “first days” with its seders and its reliving of history, and the “final days” with its messianic themes — days that herald the divine goodness and perfection which, the prophets promise us, is the end-goal of creation and the fulfillment of our present-day lives. What I was looking for, and what I’m still looking for is the encounter with the infinite, and to be filled full of the promises of the prophets, and the final promise, the Messiah, the end-goal of creation.